Guess Who’s Coming To RootsTech 2019? 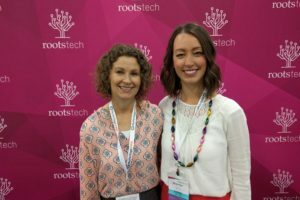 Have you been to Rootstech yet? If so, you understand how powerful the keynote addresses can be. In the past we’ve learned from DNA Detective, CeCe Moore, and historian, Doris Kearns Goodwin. We’ve laughed with Scott Hamilton, Olympic medalist, and cried with LeVar Burton, actor. The speakers connect to their family history and share their stories with us. We never know what we’ll experience, but it’s always amazing. The RootsTech team has been busy getting ready for February 27-March 2, 2019, when thousands of genealogists and family historians will gather in Salt Lake City. The speakers for 2019 bring a variety of life experiences and perspectives to share with us. If you’ve been on the fence about attending, just know that the keynote addresses, classes, and expo hall are a winning combination. Here is the lineup for 2019 with the official RootsTech bylines. You may or may not know the speakers, but I guarantee you’ll laugh and cry with them as they talk about family. As we know, family is where we connect and family is where we belong. Almost everyone in Hawaii has strummed a ukulele at one time or another. But at the age of 14, Jake Shimabukuro realized that he was doing something a little different with the 4-stringed instrument—OK, a lot different. Shimabukuro’s wholly unique approach to the ukulele started early. As a youngster growing up in Honolulu, Hawaii, Shimabukuro started playing the instrument after learning the basics from his mother, and then developing his craft. Shimabukuro’s records have topped the Billboard World Music Charts on numerous occasions, and as a live performer, he has become one of the hottest tickets around. He’s played with renowned orchestras and at prestigious venues such as the Hollywood Bowl, the Lincoln Center, and the Sydney Opera House. Shimabukuro is also a proud father of two boys. While balancing his career with family, he also remains firmly rooted in his commitment to community, frequently performing at schools in Hawaii and overseas, urging youngsters to find their passion and live drug-free. Determined to rediscover his past, Saroo pored over Google Earth and eventually managed to recognize his home town—and track down his birth mother. Steve Rockwood is president and chief executive officer of FamilySearch International. Rockwood, who most recently served as director of the international division at FamilySearch, became president and CEO on October 1, 2015. 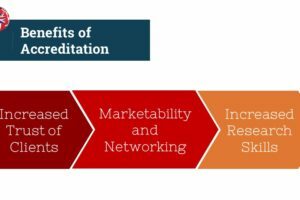 Prior to joining FamilySearch, Rockwood specialized in creating unique service offerings for worldwide customers of such brands as MasterCard International, AT&T, Disney, Office Depot, and Citibank among others. He was also a successful entrepreneur building 2 companies from the ground up that were later acquired by larger companies. 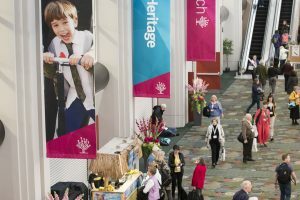 Its not too late to make plans to attend RootsTech 2019. You can still take advantage of promotional pricing, so if you’re needing a boost in your family history work, make this the year you start the tradition of RootsTech. In January and February we’ll be posting our best tips for making the most of the conference! We hope to see you there and we want you to have a great experience. Best of luck in all your genealogical endeavors!